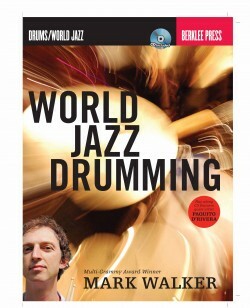 Grammy award-winning drummer, percussionist, author, and educator Mark Walker hails from “Central America” (Chicago, Illinois). He began playing drum set at the age of 10 and played his first professional club, concert, and recording gigs barely out of high school. 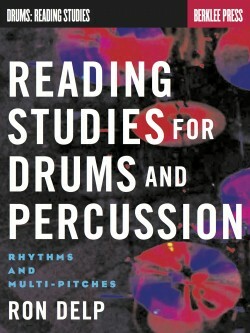 After studying with the great Roy C. Knapp, he gained valuable experience performing a wide range of styles in the Chicago area and later became a first-call session drummer and percussionist, playing on film scores, jingles, and record dates. Since moving to New York in 1995, he has performed on many Grammy Award winning albums and earned several Grammy nominations (including Best Instrumental Composition in 2008) for his work with various artists, including Oregon, Donato Poveda, Paquito D’Rivera, and Caribbean Jazz Project. He has also earned the Indy award and the Jazz award (German record manufacturers) for his work with Oregon. In addition to these artists, he has performed and recorded extensively with Michel Camilo, Dave Samuels, Andy Narell, WDR Big Band, NDR Big Band, Eliane Elias, Lyle Mays, David Liebman, Cesar Camargo Mariano, Rosa Passos, and many more. He has appeared on major television shows such as “Late Night with David Letterman,” “The Rosie O’Donnell Show,” “PBS presents…,” and “BET On Jazz.” He also appears on screen with Paquito D’Rivera in Fernando Trueba’s Latin jazz documentary Calle 54 (Miramax). 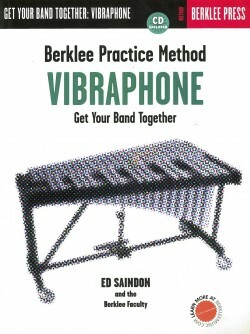 Walker currently resides in the Boston area, where he is a professor in the Percussion department at Berklee College of Music. 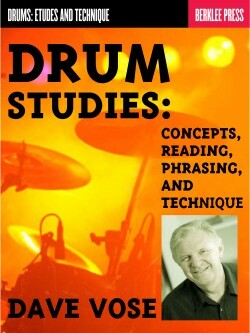 At Berklee, he has created new curriculum, served on the Education Committee, and taught drummers, percussionists, and ensembles since 2001. 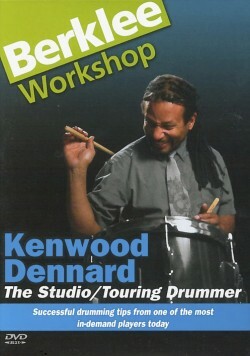 He has also served on the faculty at Drummers Collective in New York City and has conducted master classes, clinics, and workshops in South America, North America, and Europe, both as a solo artist and with such groups as Oregon, Paquito D’Rivera Quintet, the Caribbean Jazz Project, Sakesho, Lyle Mays Quartet, Chucho Valdes, Bill Watrous, and others. 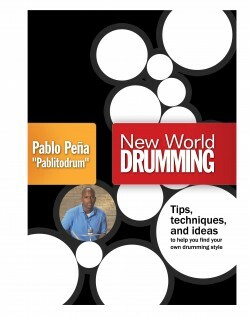 His book World Jazz Drumming (Berklee Press/Hal Leonard), which features recorded performances by Paquito D’Rivera, was released in 2009 to critical acclaim. 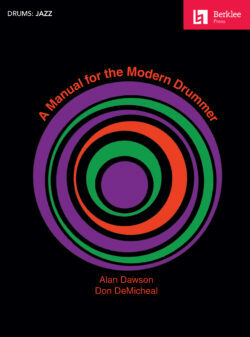 He also wrote for the all-star instructional drum set book Killer Grooves, published by Carl Fischer. Walker continues to tour with Oregon and Paquito D’Rivera. 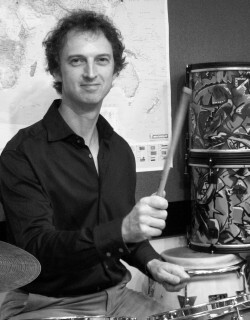 He writes for and leads Rhythm of the Américas, a jazz octet incorporating Caribbean and South American rhythms. His solo projects include the sample/loop discs Chameleon Drums, Vol 1 & 2 (Sonic Emulations) and Ritmo De Las Americas (Sampleheads). 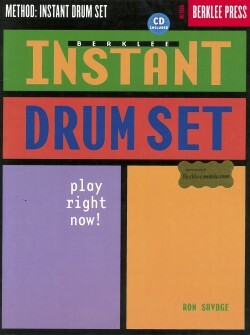 Enrich your drumming with world rhythms and sounds.